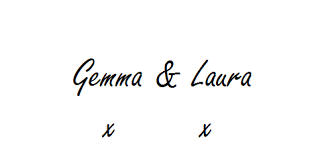 Tartan Fairytales : Book Club - Blog Style. Take 5! Hey guys! So one thing is for sure, I am totally slacking on my book club posts. Which is strange as it is one of my favourite posts to write. I have a whole pile of books that iI have read that are waiting to be reviewed here. There was a lot of controversy around this book as it was revealed that a ghostwriter aided Zoe with writing the book. This really doesn't bother me at all. I struggle to find a celebrity that has released a novel that hasn't used a ghostwriter. Even my queen Lauren Conrad had some help! As long as it was Zoe's idea and she did actually work on it then it is all good from me. Everyone needs a little help now and again. As with all my book club posts, I don't want to release any spoilers so I will give a brief over view of the plot and what I thought about the book! 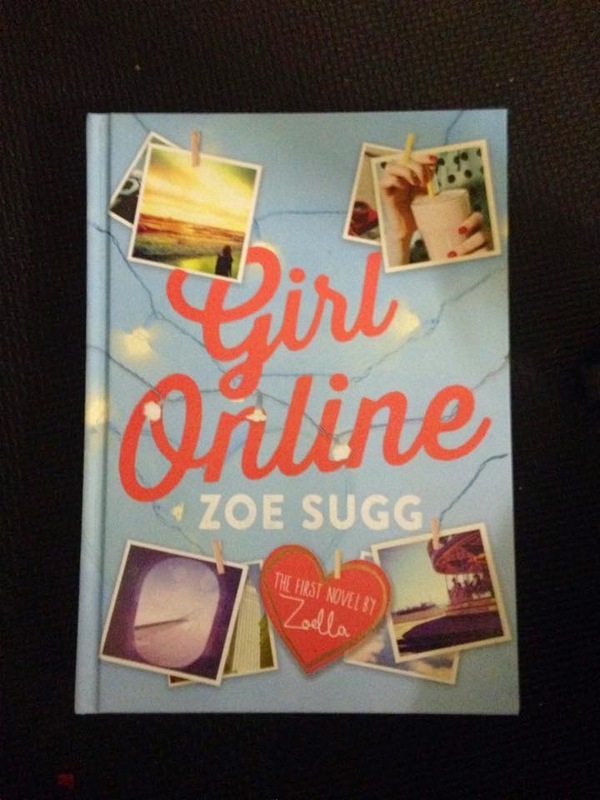 'Girl Online' is Zoe's first novel and is based on a young girl called 'Penny' who lives with her parents and brother in Brighton. Penny has a best friend named 'Elliot' who doesn't have the best relationship with his parents so spends most of his time with Penny and her family in her home, which luckily is next door to Penny. The school which Penny attends is putting on a production of a play which Penny is the 'official' photographer for. The play stars Penny's frienemie 'Megan' & crush 'Ollie'. Whilst taking a picture on stage of the cast at the finale of the play, something very embarrassing happens to Penny, in front of the whole school! Unfortunately Penny suffers from really bad anxiety and panic attacks which don't help this situation. Luckily she has Elliot... and her online friends for support. Penny is an anonymous blogger... 'Girl Online' in which she blogs about her life and all her experiences on. Elliot is the only one that knows about Girl Online. Again I don't want to include any spoliers but basically something happens to Penny as Megan posts something about her online. This really aggravates Penny's anxiety and even the thought of leaving the house is too much for her. At the same time, Penny's parents are asked to do a wedding in New York, at Christmas, an offer they can't really refuse as they need the money. This idea horrifies Penny and her brother, as Penny is terrified of having another panic attack and her brother has plans to spend Christmas with his girlfriend as they have both been away for months at university. Eventually Penny's parents convince Penny to go with them as she can bring Elliot who has ideas on how to support her if anything should happen to Penny. Armed with the support of her followers on her blog and desperate to get away from Brighton, Penny agrees to head to New York. Super excited to be in New York with her parents and best friend for Christmas, Penny vows to take a break from the internet whilst she is away to help her forget about everything back home. As soon as they all arrive in New York, it is full steam ahead to get everything ready for the wedding. Meaning Penny is helping her mum with preparations in the venue as Elliot goes sightseeing with Penny's dad. Whilst strolling around the venue, Penny hears someone playing guitar and singing along. This is where she meets New York native 'Noah' who is the grandson of the caterer 'Sadie Lee'. Releasing the wedding needs something picked up from Brooklyn, Penny's mum sends Noah and Penny to retrieve it. After this Penny and Noah spend the majority of their time together which Penny blogs about. Keeping up with the anonymity she simply refers to him as 'Brooklyn Boy'. Eventually Elliot has to return home for Christmas Day and New Year as his family won't allow him to stay. For Christmas, Sadie Lee invites Penny and her family to stay with her, Noah and Noah's younger sister. As Penny and Noah's relationship deepens, they start to confide their personal information with each other and spent their New Year's Eve together. As Penny is due to return home, the promise to each other that they will make the effort to continue their relationship, long distance. However upon her arrival home, Penny is greeted with even more chaos than what she left. Threatening to ruin her relationship, her friendship and her blog. Certain secrets have came to haunt Penny. Penny has to discover who she can trust and if she can continue to be 'Girl Online'. Sorry guys I know if left it a really gappy plot summary but I really hate spoilers myself so I don't want to include any. Sam got me this for Christmas and I was quite surprised as he didn't even know I was a Zoella fan at all. 'Girl Online' is exactly what you expect with a young teen rom-com/drama book. However I did really enjoy it. I feel like girls around 10-15 will absolutely adore this book and the story line. Zoe Sugg should be very proud of her book and everything else she has accomplished. I must admit I am looking forward to the sequel which is due to be released this summer. Have you read 'Girl Online'? I'd love to hear what you thought of it. Let us know!